Achieving the perfect lighting design for any room can be a complex task. Ceiling fixtures are one of the many different types of lighting that can really make a space stand out, but before you pull out your credit card, it's important to keep a few things in mind: Look at the size of your room (including the ceiling height), consider the other light sources, and don't forget to make note of your color palette before you go shopping. Arguably, the most important factor to consider is style. 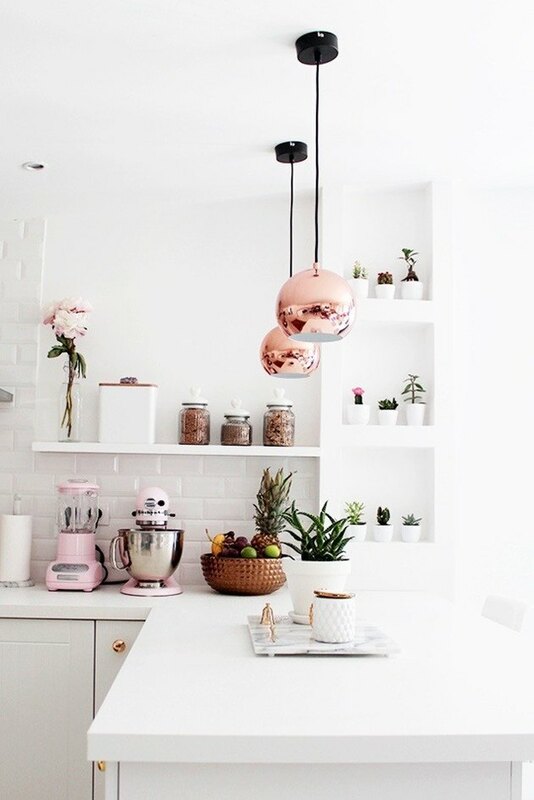 From modern, to industrial, to vintage, here are 12 alluring pendant lighting ideas that can transform the look of any space from boring to brilliant. 1. Pair metallics with neutral tones. Don't let your home be a wallflower. Punch up that demure color palette by adding a few high-polished, metal finish pendants. When used sparingly, reflective materials can make a beautifully bold statement that will make your space shine. 2. Don't be afraid to consider color. 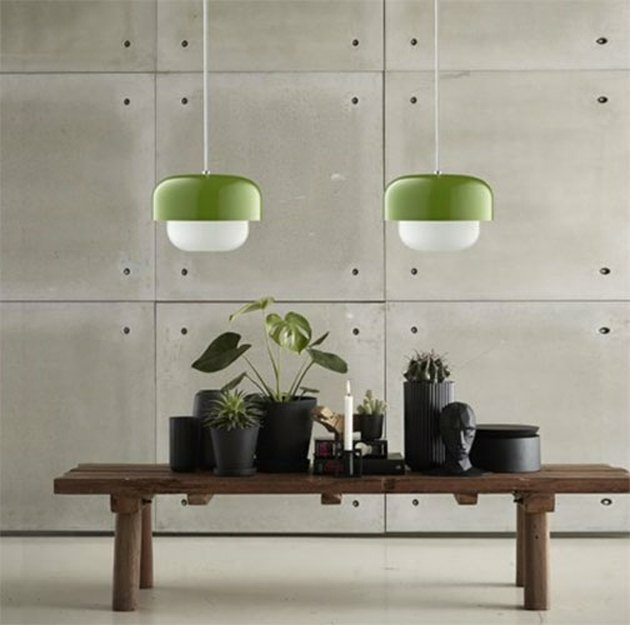 Pantone, the wildly popular color matching company, has partnered with Danish lighting brand e3light to release its first collection of light fixtures — Pantone's Light Coll. One series. 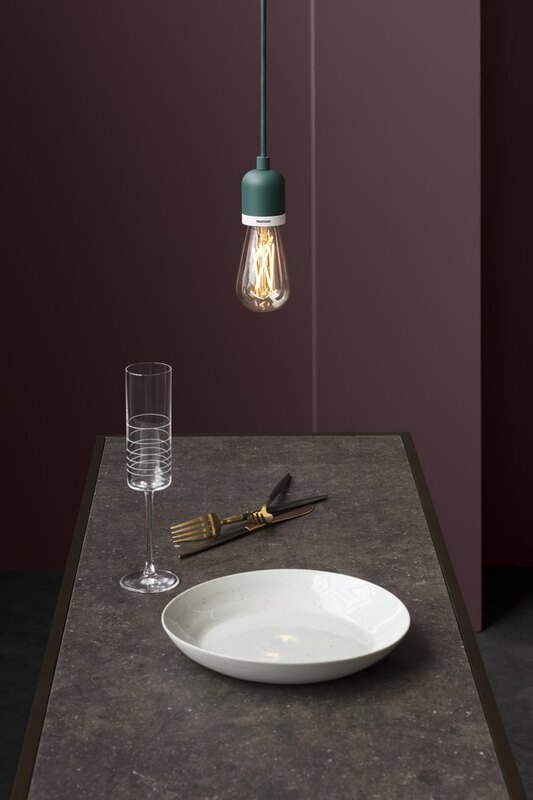 The minimalist-style pendants are available in a selection of Pantone colors, including Ultra Violet, 2018's Color of the Year. These colorful drop pendants are a great way to incorporate a fun pop of color without going overboard. 3. For intimate spaces, consider soft lighting. There's nothing better than waking up and drawing the curtains, allowing natural light to wash over you and your boudoir. However, finding radiant lighting perfect for bedtime is a little bit trickier. 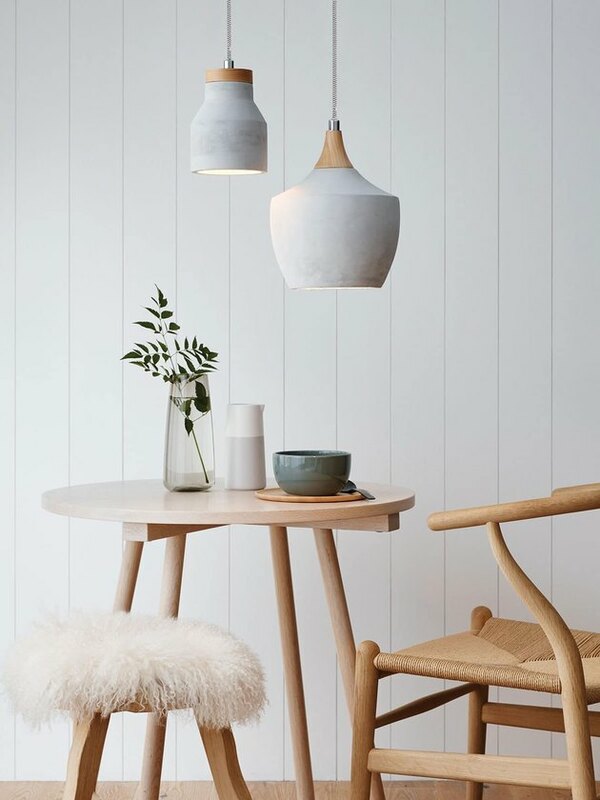 Look for pendants with fabric shades that are designed to diffuse the light, creating a soft incandescent glow perfect for winding down at the end of a long day. Decorative elements, such as lighting, are a resplendent way to incorporate texture and a myriad of different materials into your design scheme. Thanks to the creative imagination of lighting designers, there is perhaps no better way to add visual interest and diversity to your humble abode. Pendants offer a unique opportunity to explore different materials ranging from wicker, to concrete, to wood, ceramic, and glass. 5. 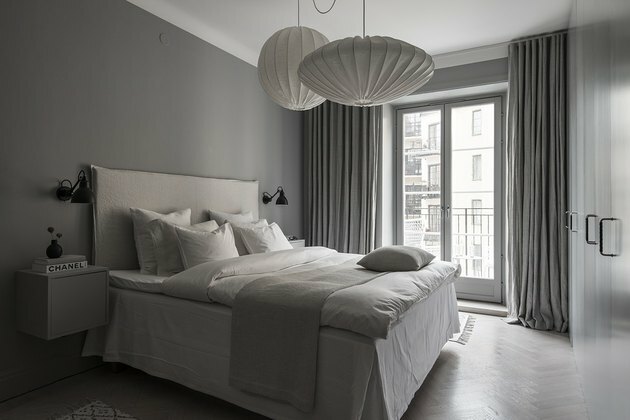 Create soothing vibes with a monochromatic color palette. 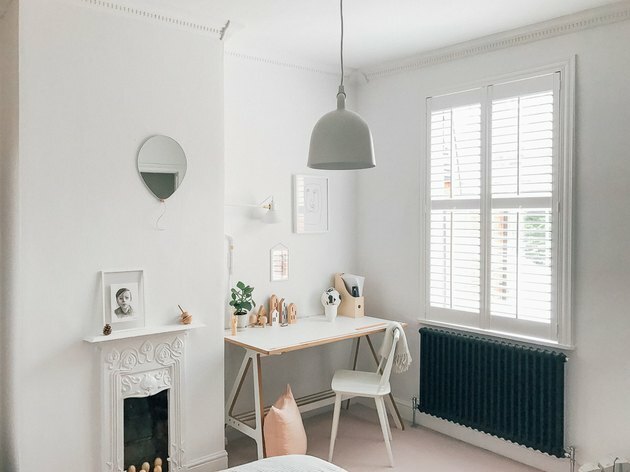 In a world saturated with color, creating an all-white refuge might be just what the doctor ordered. This white curvy pendant is the belle of the ball in this monochromatic home office space. 6. Sometimes bigger is better. If you're lucky enough to have high ceilings, we are officially jealous. You don't always have an opportunity to make a grand statement, so when you get the chance — embrace it! The higher the ceiling, the higher the drama, and you need a light fixture that is proportional in scale. 7. 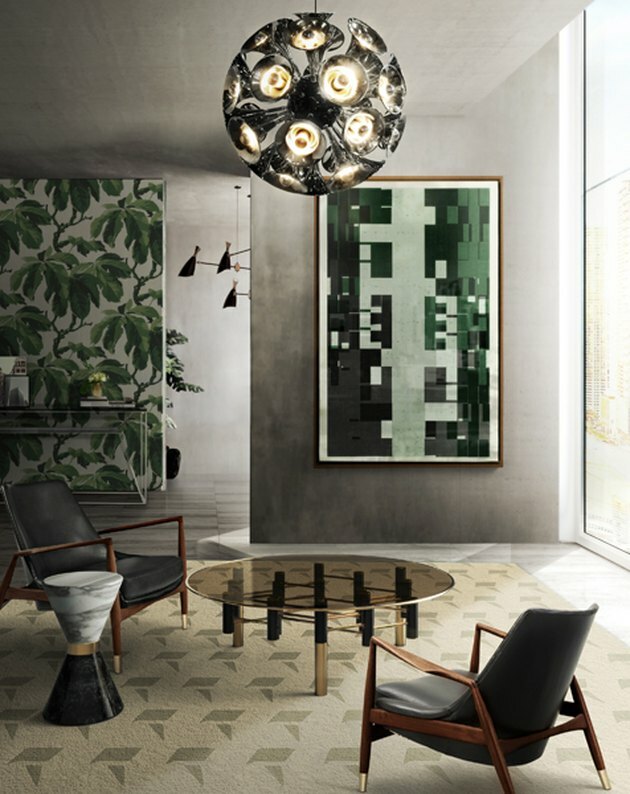 Add a pendant lamp to your art collection. We spend our entire lives curating the perfect art collection for our homes. Whether it be an exquisite sculpture or an inspiring canvas, artwork comes in many mediums including lighting. Take your time and find a luminous, one-of-a-kind piece of art that enhances your unique collection, and lights your home. 8. You can never go wrong with a classic. 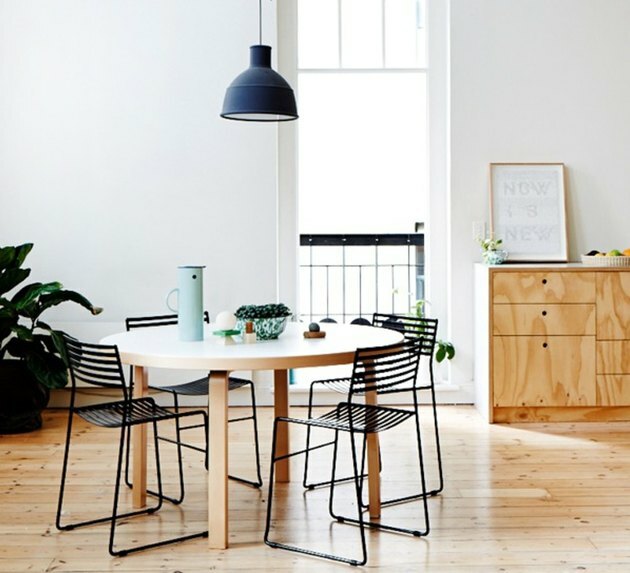 Flipping through the pages of a glossy magazine, you might think that in order to have a stunningly modern home, you need to fill it with designer furniture and decor. Of course, nothing could be further from the truth. However, let's be honest — it would be nice to invest in one or two timeless beauties, that will never go out of style. 9. When in doubt, select a little black pendant. Let's face it, LBDs are a staple in many women's wardrobes. The timeless and flattering hue goes with just about everything. So why not apply the same school of thought to your lighting? 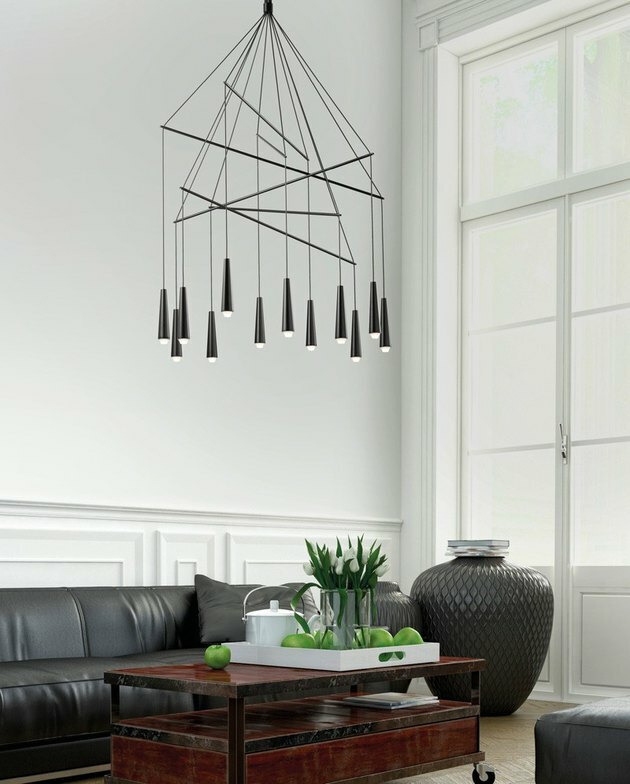 While wall color, furniture, and upholstery may change over the years, you can rest assured that a simple black pendant light will always blend beautifully. 10. For a nature-inspired look, opt for wicker. Bring a little bit of the outside in with earthy, organic elements such as natural sunlight, fresh greenery, reclaimed wood, and wicker. Highlight your nature-inspired digs with a warm glow complements of a few bell-shaped wicker shades. 11. If vintage glam is what you want, shop midcentury. The midcentury modern era has never been more popular, and lucky for us this glam-filled period introduced a plethora of new lighting designs. 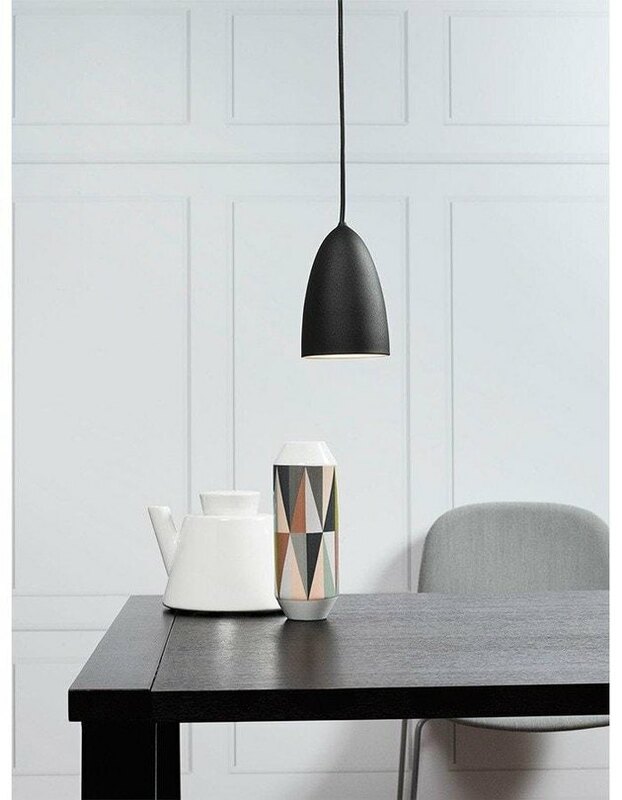 From clean lines to innovative shapes, you can easily find a charming pendant light, perfect for every home.